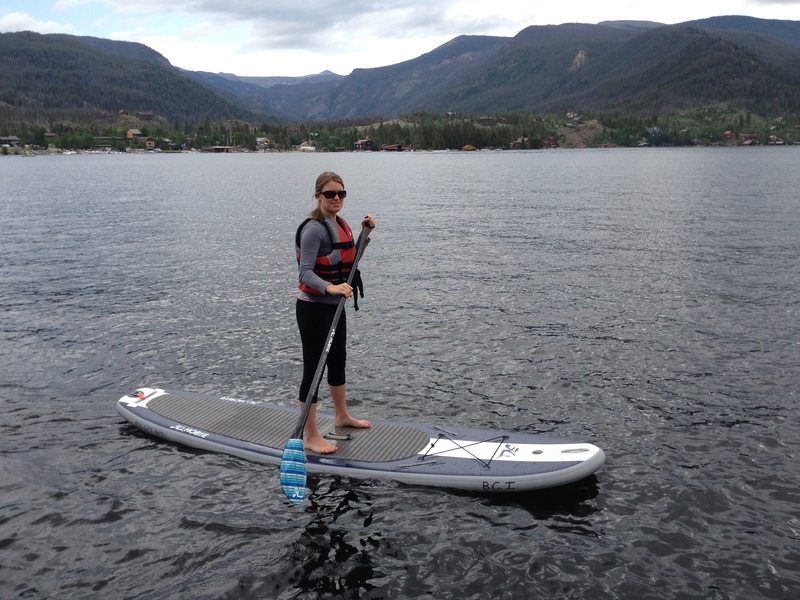 Paddle Boarding Part 2: Take a Stand for Your Knees! 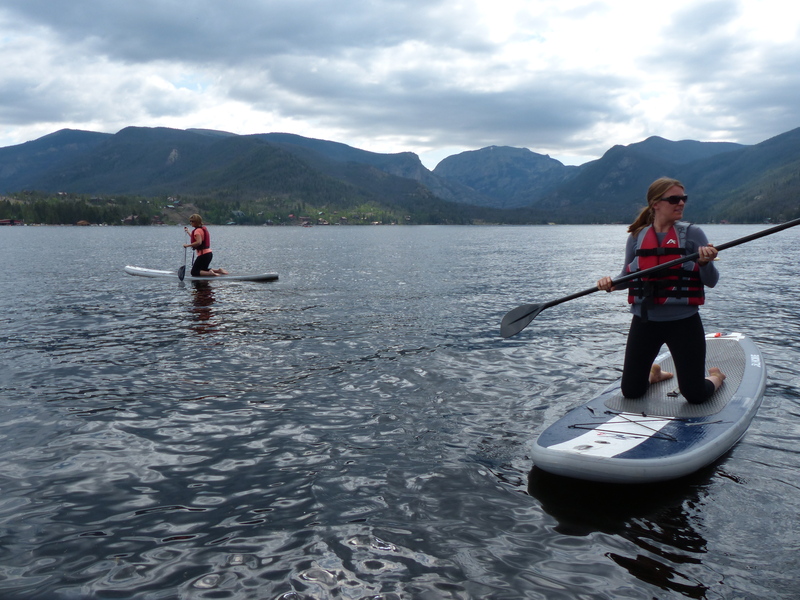 In Paddle Boarding Part 1 we looked at my sister’s default position when on an unstable surface. Another common response when on an stable surface is to lower our center of mass (in the pelvis) to feel more steady. Your center of mass is closer to the ground when you are kneeling, making it easier to balance. Here my mom and I are trying to get up from our knees to our feet. Once we got to our feet, we had our knees bent, again slightly lowering our center of mass. Bending the knees is instinctual when you feel wobbly, as is turning your feet out and widening your stance. 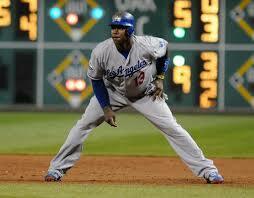 If you’ve ever played sports, this is the common “ready position”. This position is helpful if you are trying to get your balance during an activity or preparing to run/jump/etc into action while playing a sport. The problem comes when you are so conditioned to hold this position that you start doing it all the time. You may have learned not to lock your knees but instead to keep a slight bend in them. This can be just as damaging as standing with locked knees. There is actually another option: standing with legs that are fully extended but not locked. This position is the least damaging and most beneficial for long term health. Let’s take a look at standing positions in more detail. Option #1: Locked Knees- Legs are fully extended and quadriceps (muscles on the front of the thigh) are contracted, pulling the patella (knee cap) up and back into the joint space. Downside- when the quads are overused, and the patella is pulled up/back, it starts to cause friction and irritation in the knee joint which causes inflammation, damage, pain and (eventually) cartilage degeneration. Option #2: Bent Knees- Knees are kept slightly bent. Downside- when the knees are chronically bent, the body adapts by shortening the muscles around that joint to keep things taught. This passive shortening is different than an active contraction a muscle does when it is working. When these muscles get too short and tight, they start to decrease joint space, inhibit range of motion, and compromise circulation. 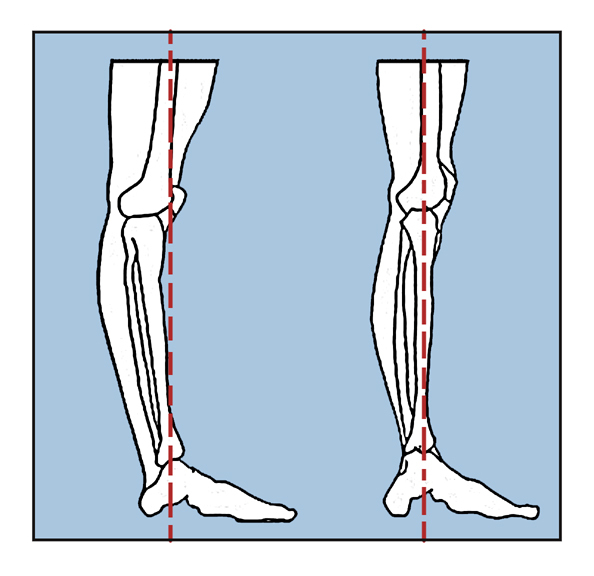 Eventually, it can become difficult to fully straighten the leg because of this tension. Here’s an example: Think about an arm in a sling. It is passively held in a bent position, and the muscles shorten. When the sling is removed, you can feel the tension that has accumulated. It takes time to be able to straighten the arm again. Downside- It’s really hard. There are no physiological consequences to standing this way, it’s just a lot of work. Whenever you think about it, adjust yourself to this position and eventually it will feel natural. Hyperextended Knee Joint. Vertical Leg. In real life, there are times when it’s appropriate to stand with bent knees or make other adjustments to perform a particular activity; however, the more you can stand in this optimal position while doing daily activities, the healthier your knees will be. In the end, I needed to use the wide stance to keep my balance but finally got my legs straight and quads relaxed! Previous postPaddle Boarding Part 1: What’s Your Default?